Freedom Homeschoolers is made up of families from all walks of life. In many ways we are each very different and quite unique but each of us has one thing in common- we homeschool. Some live in Columbus, some in Phenix City. Some are in the military, some are civilians. Some are creative, some aren't. Some are religious, some aren't. Some are "wealthy", some struggle. Some have teaching degrees, most don't. No matter what we look like, sound like or where we worship, we have chosen to support each other on this homeschooling journey. Freedom Homeschoolers coordinate a variety of activities throughout the school year. We strive to provide things for all ages and budgets. Some fieldtrips are local while other will requires travel. Details are posted in advance so that families can choose which activities best fit their family. Fieldtrips and co-op participation are not required of members. Please be aware that our events are coordinate by homeschooling parents that VOLUNTEER to serve. Please be courteous when requesting information. Homeschooling families from Ft. Benning are always welcome in Freedom Homeschoolers. No matter how long or short a time military families are stationed with us, we will strive to help meet the unique needs present by homeschooling within the military. For example: we make sure to post map links and directions to our facebook events so that all activities are easier to find for someone that is new in the area. 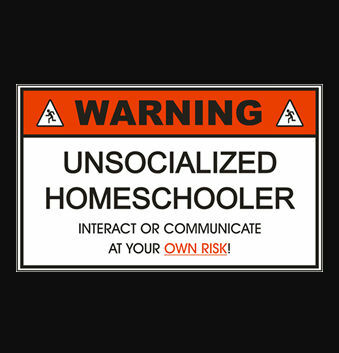 How did Freedom Homeschoolers begin? Freedom Homeschoolers was founded by Suzanne Sheppard in the summer of 2005. Suzanne had been homeschooling her children for 7 years at that time. After having served in leadership with another local support group, Suzanne decided to begin a new group that would be open to homeschooling families regardless of their relgious affiliation. It was her desire that homeschooling families from all denominations and backgrounds would set aside religious differences and focus on supporting each other through academic and social activities. This doesn't mean that people of faith aren't welcome. In fact, it means just the opposite. Whether you are Baptist or Catholic, Mormon or Atheist we can all agree to be polite, respectful and courteous to each other while we support each homeschooling family. In the years since its founding, Freedom Homeschoolers has grown to be a thriving group welcoming the new and experienced homeschooler alike. David is a Valdosta State graduate with a Bachelors degree in Business Administration. He works for Woodruff Property Management in Columbus, GA as their Asset Manager and CFO. Suzanne has an Associates degree from Valdosta State and while she studied Early Childhood Education, she does not hold a Bachelors degree or teaching certificate. Suzanne is the found of both Freedom Homeschoolers and Golden Acres Christian School. The Sheppard family began homeschooling in 1999. Their oldest child was in 3rd grade that year. Suzanne has now homeschooled from preschool through high school. Scott is now a graduate of Liberty University with a degree in Youth Ministry. Allison is a student at Liberty University in Lynchburg, VA. She is pursuing a degree in Teaching English as a Second Language (TEASL). Tyler is a fun loving 2nd grader full of energy and always ready to learn. It hasn't always been easy, but they wouldn't trade their time together homeschooling for anything.